It is difficult to say when your garage door will require maintenance or repair. It could happen in the most unexpected time like in the middle of the night or when you are about to go to work. Do not worry, though – we are here to help. Durability Garage Doors are packed with a team of professional technicians, all of whom are ready at your disposal. 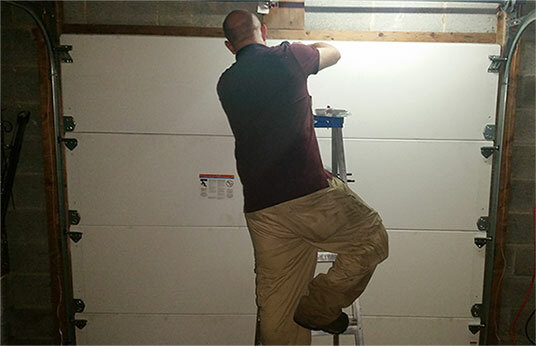 They are skilled and knowledgeable, let alone have the training and expertise needed to perform all types of garage door repair services. Do you need a garage door spring repair? Our technicians can help you with that. Or perhaps you want to check the problem with your opener? Well, our technicians can perform a reliable garage door opener repair. Regardless of the garage door issue – including the garage door remote – we are here to help. We have years of experience in the field of garage door repair. We can help you when it comes to your garage door keypad or garage door springs. No matter how big or small the job is, we have the tools and equipment to get it done. Our garage door repair service is available 7 days a week. So if you need us even if it is on a weekend, we can guarantee a service! If you are in Westfield, IN and the surrounding areas, know that Durability Garage Doors are here to help. As soon as we hear from you, we will immediately deploy a team of technicians ready to be at service. We look forward to hearing from you!